You’d be surprised at some of the interesting, fun, and occasionally peculiar jobs we’d find for you to do if you call us to volunteer. You might be picking up your favorite performer at the airport and taking him or her to dinner before a concert! Not all our jobs are as enticing as that, but we need you nonetheless. 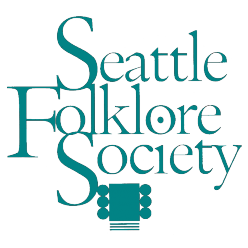 The Seattle Folklore Society is all-volunteer, and as much or as little time as you have to give is greatly appreciated. To volunteer for concerts, or find out about other volunteer opportunities, send an email to volunteer@seafolklore.org or leave a message for the volunteer coordinator at (206) 923-8923. SFS Archivist – We need someone to help us start planning an SFS Archive to keep track of all our long and interesting history. We are also looking for help to digitize recordings from past concerts. Posters and Flyers – Do you have a spot to place concert posters, or a neighborhood that you do not currently see our posters? We can always use help getting better visibility. Doing Sound – At most of our shows, we run the sound board ourselves. We pay a stipend for sound techs that have taken the time to familiarize themselves with our system. There is always room to include some more interested people. Some experience is desirable, but we can arrange opportunities to train. If you would enjoy helping our performers sound their best, please get in touch! Concert Volunteers help with everything from performer hospitality to general ticket-taking, hall set-up, and assisting with sound. Be the first to know when the new season is planned by signing up for the Concert Volunteer Notification List or e-mail volunteer@seafolklore.org. Most of our concerts take place at the Phinney Neighborhood Center. Concert Planning – The Seattle Folklore Society tries to provide a diverse offering of artists and performers, but often times we don’t get hooked into a particular genre because we don’t have contacts. We are always in need of people to help identify and plan upcoming concerts. We meet the first Monday of most months at 7:00pm in Seattle. Email us or leave a message on the concert line at (206) 923-8923 for the location of the next meeting. We have a lot of fun deciding who to bring to Seattle, and we invite you, if you are curious, to see how it is done. Maybe you will jump right in!